The interrogation of a Gaza resident arrested during the March of Return riots on the Israel/Gaza border, reveals that Hamas may be bordering on desperate as they try to control the people of Gaza. The man was one of several who was arrested as they breached the border fence. He confirmed that the demonstrations were not “spontaneous protests” as Hamas claims, but rather a closely coordinated operation in which strict instructions are given to the ‘demonstrators’. Analysis: Why is Hamas doing this? And why are the people of Gaza thinking about insurrection? According to the best analysis of this and other reports, the people of Gaza are living in deplorable conditions that are getting worse every day. When it is available at all, electricity is only available for a few hours a day, and clean water is hardly available at all. When Hamas activists destroyed the Kerem Shalom transfer depot between Israel and Gaza, from where humanitarian supplies – water, food, medicine, diapers, for example – are regularly delivered from Israel to the people of Gaza, they destroyed a gas pipeline to the people they are supposed to be governing, as well as the building, several conveyer belts, and equipment. When Israel attempted to deliver an emergency supply after the initial destruction, Hamas turned away shipments of food and diapers, and only accepted the shipment of medicine (although some reports say they did not even accept that). Hospitals and other emergency services are now running out of the fuel they need to operate their facilities, and families cannot fuel their cookstoves. Given this reality, the people of Gaza may be bordering on insurrection against their Hamas oppressors. The results of such a popular revolt could be catastrophic, for both Hamas and the people they are supposed to govern. 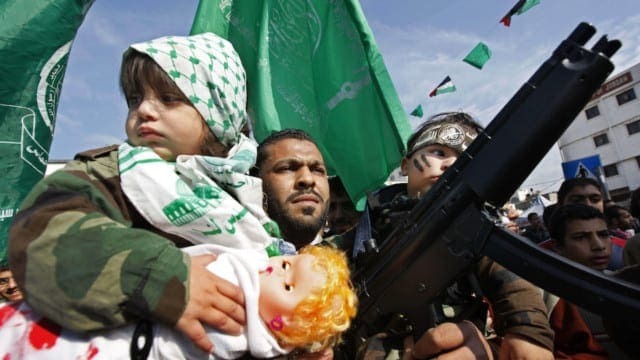 Hamas has shown itself to be vicious and merciless when facing a perceived enemy. Using women and children as human shields, holding summary trials and executions, and doing whatever is necessary to hold onto power. A sudden turnaround in the behavior of Hamas would be welcome all around, but a change in their basic ideology is unlikely at best. This is a situation well worth watching. As Hamas retrenches after the disastrous outcome of the ‘March of Return’, the fate of Gaza hangs in the balance. It can’t get much worse for the people of Gaza. But the news of their unrest is hopeful. Now the question may be, who will help them if they choose to rebel?